I made a big pot of Caramel Kaya last weekend to bring to our Chinese new year gathering in New York. My husband N started having severe headache few hours before we head out, we had to cancelled the plan and rush to the doctor, we later learnt that he was hit by sever sinus and had to take a course of antibiotic. So that is the prelude to the many bottles of Kaya sitting in my fridge, I did though send out a few to some friends who live nearby. Since I also have a box of sweetened (Yucky!) 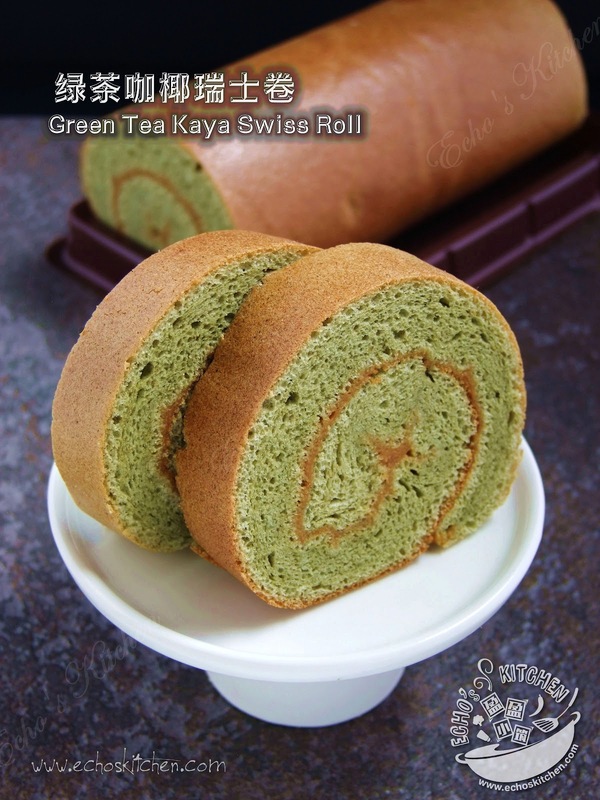 organic green tea powder sitting in my pantry for a long time, I decided to make this Greentea Kaya Swiss Roll, it turned out really nice and my son A loves it! 1. Measure all the ingredients out accordingly, separate the egg whites and egg yolks, make sure your container for egg whites are sanitized, dry and clean. 2. 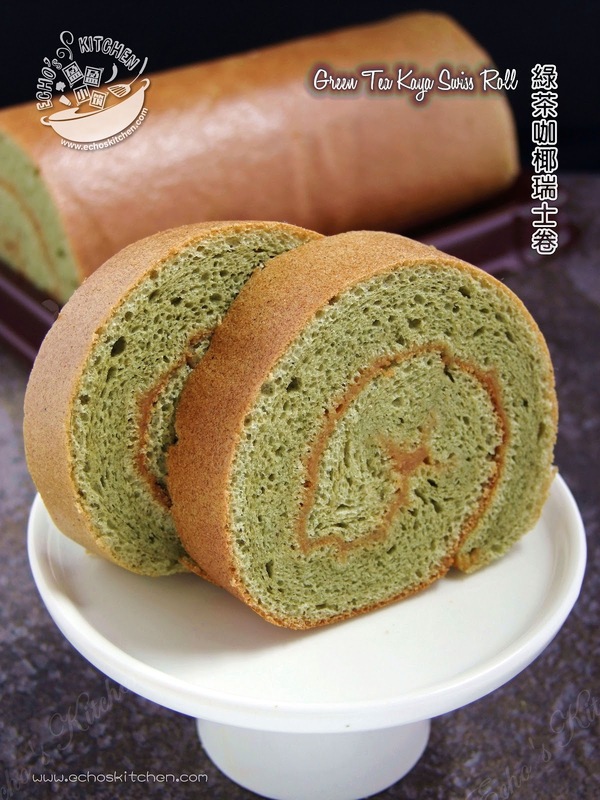 Mix the cake flour and green tea powder, sieved. 3. Place half of the sugar/15 gm with egg yolks in a mixing bowl, cream it uses a whisk, add milk and cooking oil and whisk until it is slightly fluffy. Add the powder mixture and blend well to form a thick paste. 4. 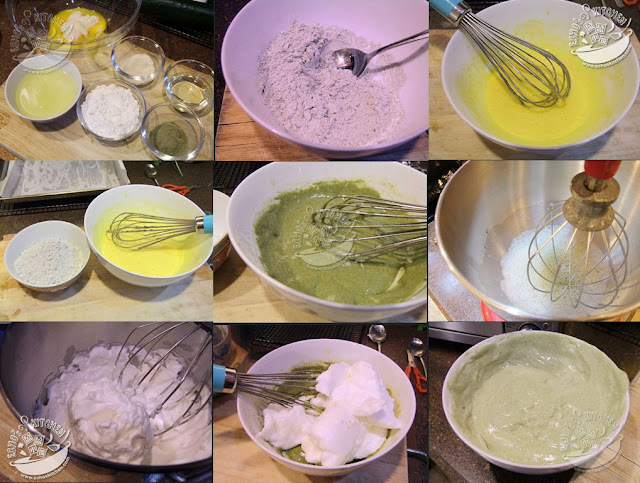 Place egg whites and the remaining sugar in a clean mixing bowl with two drops of vinegar (optional), stand the stand mixer/hand mixer at low speed and whisk until some bubbles appear, turn to high speed and continue mixing until light and fluffy with soft peak showing at the tip of mixer head. I liked mine a little drying in texture thus I continue to whisk the egg white a little longer until it shows semi-hard peak. 5. Scoop out 1/2 of the mixture and place it into the green tea paste, using a large spatula to fold the mixture in. 6. Place the mixture you just mixed in the mixing bowl that has the remaining egg white, fold in the same way you just did, quickly and steadily. 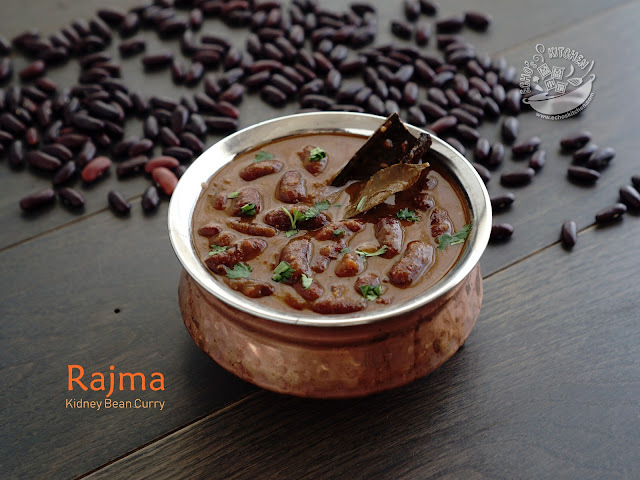 7.Pour the mixture gently into a prepared pan (13x9), lightly knock the pan over countertop a few times to shake out excessive air in the batter. 8. Preheat oven to 300F (150C) and bake for 18-20 minutes, and broil for 1 minute to brown the top. Open the oven door ajar and wait for 3 minutes before taking it out. 9. Place a fresh parchment paper over cooling rack, with the smooth side facing up, quickly turn the cake over onto the parchment paper. Carefully remove the top parchment paper. Let cool for a few minutes. 10. Spread 1/2 cups of Kaya/coconut jam over the cake, using a pastry knife, cut 3 shallow lines at the edge of the cake, this will aid in rolling the cake later. 11. 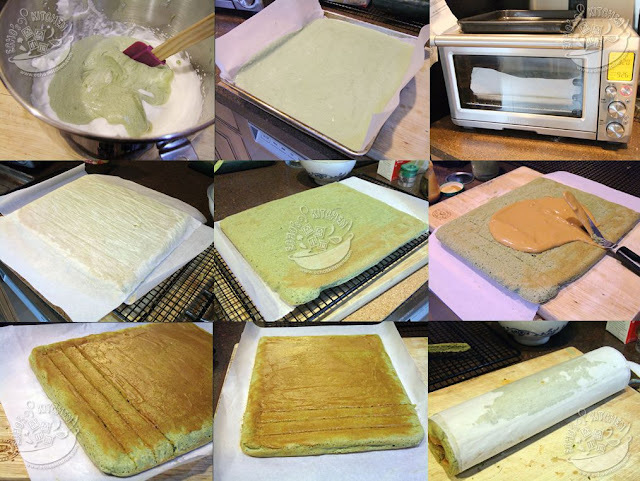 With the help of a rolling pin, light brings the underside parchment paper up and roll the cake as you would with sushi rolls. Store in the refrigerator for few hours before slicing it.